Anca has over 15 years of experience in the biopharmaceutical industry, working both on the CRO and the Sponsor side. 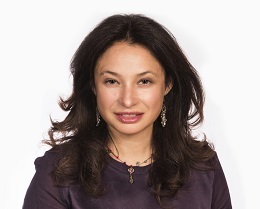 She is currently the Founder and CEO of Strategikon Pharma, developer of Clinical MaestroTM, the industry’s only end-to-end cloud-based platform for clinical trial budgeting, sourcing and contract management including strategic alliance/partnership management. Previously she served as Head of Clinical Outsourcing and Analytics for BioMarin Pharmaceuticals, where she was responsible for vendor contractual, relationship and financial management. She also had several leadership positions with PharmaNet Development Group (now Syneos Health), ICON Clinical Research and eMetagen Corporation.